High school is more like a verb than a noun. It’s a daily juggling act of readying for the big game, cramming for the quiz, spending time with friends, fretting over standardized tests or college applications, and last (and, unfortunately, often least) squeezing in a few hours of sleep. There’s little we can do to change the demands of high school. But we can quiet the whirlwind. To make this our most productive year yet, let’s review some strategies to find school-life-sleep balance. And remember, as in all things, practice makes perfect. Make A Schedule: There is a distinct difference between a to do list and a schedule. A to do list tells you what, but when attempting to tackle time management, a schedule helps determine the when, the why and the how. Plan your day (and your week) by writing down when you plan to accomplish tasks. Prioritize and distinguish between urgent (answering your friend’s text) and important (preparing for the research paper next week). Break major tasks into smaller, more manageable parts and chunk them out over several days. Schedule breaks, don’t just let them happen when you’re long past the point of productivity. Use pen and paper, not an app, so you can carry your list in your pocket. Enjoy the satisfying feel of checking off each item as you complete it! Hint: returning students received a notepad of to do lists on their door step this past week. You’re welcome! Turn off social media: The best way to declutter the mind is to silence distractions. Literally. During the hours you focus on homework, log off social media, turn off notifications, and set aside your cell phone. The world can wait. Studies show students who schedule a social media blackout are not only more productive, but happier and more well rested. We like a free app called Self Control. It allows you to block access to distracting websites or mail for a period that you determine. The social media frenzy hasn’t done justice to clarity and creativity; take back your sense of calm. Listen to music: If you are among the many people who need distractions, then listening to music as you study can support focus. Use music as an escape and find a genre that will help you focus. You may find it’s not the music you typically enjoy. You may love classic rock, but discover that jazz gets you into the study zone. Experiment! Find your golden hours: Figure out the best hours in the day that work for you. Are you a morning person or a night owl? Be honest with yourself about when you are most productive and use these hours to your advantage to work efficiently. Take Breaks: Active learning and attention can only last for so many minutes. Take a five to ten minute break each hour. Eat a healthy snack to refuel your hungry brain. Get up and stretch or take a short walk outside. Remember that screen time is not break time. You need to refocus your field of vision and get away from screens and texts in order to return refreshed. Exercise: Exercising regularly can sharpen focus, increase energy, and improve overall mood. Active individuals show increased cognition and are able to prioritize tasks more effectively. Exercise releases endorphins, so staying physically active not only supports your physical health, but also your mental health and concentration. Even just 30 minutes of exercise a day can support a productive lifestyle. And we know you’re prepping for the big game, but avoid strenuous exercise that leads to injury and exhaustion. It’s terrible for productivity, and can lead to lifelong pain. Do not cram: Cramming the night before is not an effective study technique. Our brain requires both time and repetition to process information and integrate new knowledge into working memory. Skimming over too much information in a short period of time does not allow your brain to fluently process the material. And you will lose it within minutes of the test, which is particularly counterproductive in subjects such as Math and History, where knowledge is cumulative. You’ll end up spending more time studying in the long run. When it comes to studying, slow and steady really does win the race. Small Significant Strides (S3): The best hack for success is to plan ahead! Make the calendar your friend. If an exam is coming up, spend a few hours a night for three nights reviewing material, and pace yourself constructing a study guide. Take a break and return to your studies a day later, then review your study guide to fully grasp the material. If a research paper is coming up, spend a week sifting through the research. Write out brief notes on the important concepts and cite as you write. The following week start the writing process. Take small daily steps toward your final goal. Make the process as painless as possible! Avoiding the procrastinator’s last-minute scramble will be worth the effort. Sleep: The brain is the most metabolically expensive organ in your body. Without proper sleep you are starving yourself of the benefits that sleep has on your concentration, positive mood and overall health. Productivity is at the intersection of time management, successful study habits and quality sleep. Find the best productivity habits that work for you and follow them down the road to success. 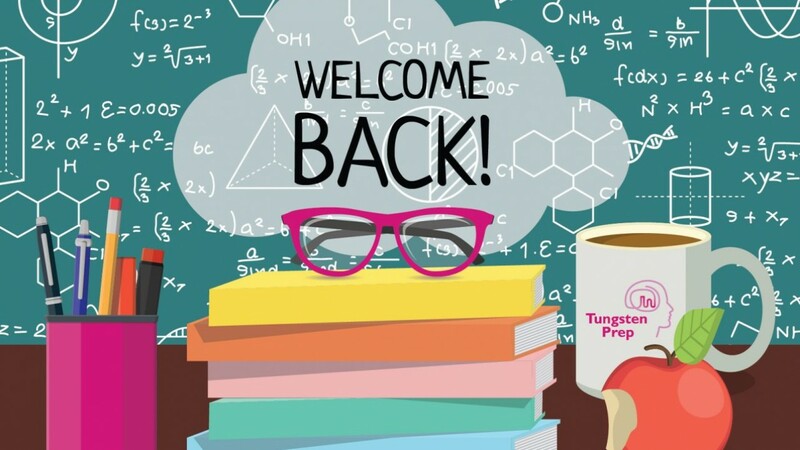 Wishing you a great start to the school year!